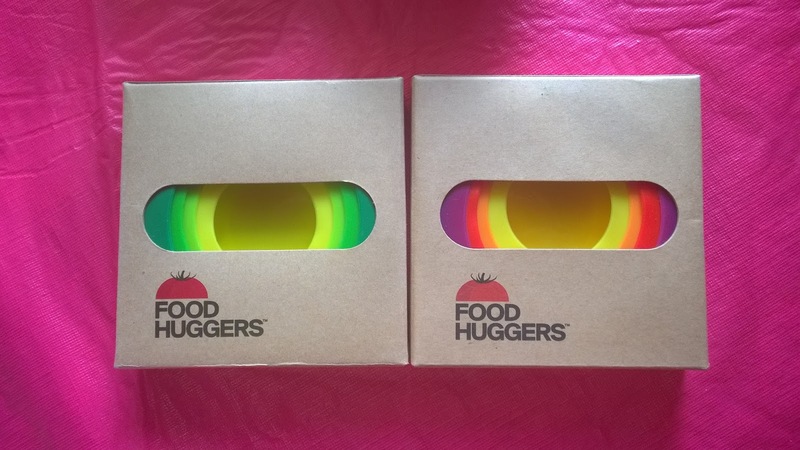 We've got FOOD HUGGERS in the house, and I LOVE THEM! They are so simple and easy to use, but fill a void in my kitchen that I didn't even realize was there! They come in 4 different sizes, and several colors, these Food Huggers wrap around sliced food to keep it fresh in your fridge, for longer, and can be utilized with cans, cups, jars and anything they fit snugly over and seal to keep it fresh! They look great in the fridge, they don't take up any space in a drawer and they are going to keep your food good and make it look pretty while you store it! I tried these with apples and a can of beans, and both worked great! 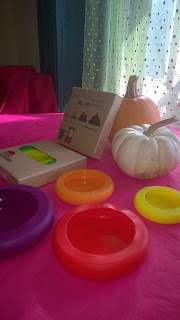 I even tried these on top of my plastic cup, with soup in, and that worked wonders, too! I think they can be utilized for a plethora of items that you'll need to store and are very convenient to use! What a great idea! You can find Food Huggers, HERE and on Twitter! ...GIVE YOUR FOOD A HUG! Also, put them on your holiday gift list for the cook of the house or just for yourself, you're going to wonder what you ever did without them! Follow our gift guide items on Twitter with hashtag #mgbhgg! Catch a video demonstration, on the Food Huggers website, too! 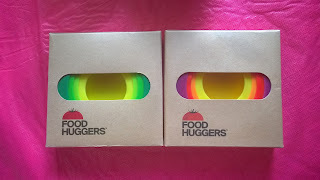 Disclaimer: I was provided with a set of Food Huggers to form myself an honest opinion and share it with you! I was not otherwise monetarily compensated and all views are my own! Your views may differ! Thank you!